This just might be the coolest renovation we have seen in some time. 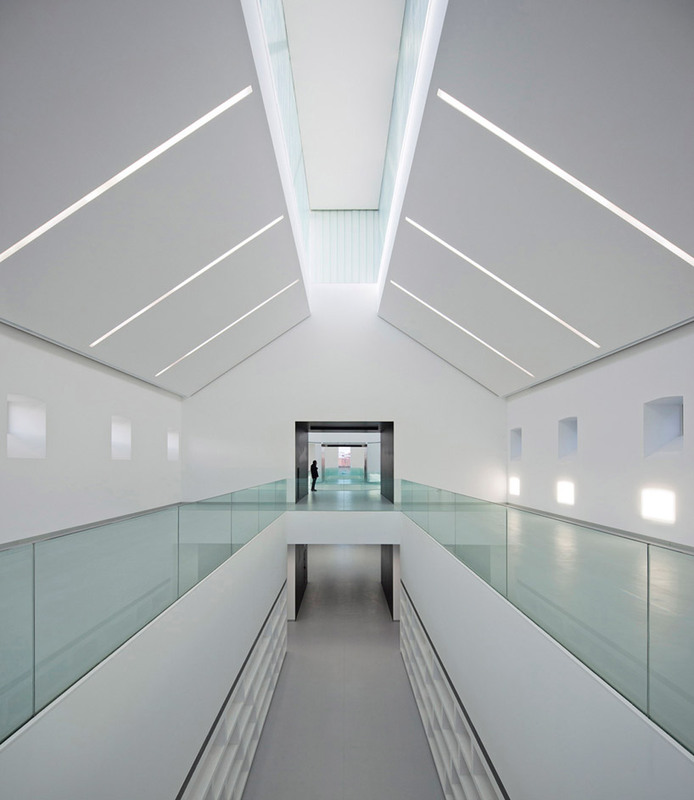 Exit Architect's have just transformed a 19th century prison into a super sleek civic center in Palencia, Spain. The architecture & design team at EXIT has gained a quality reputation for creating stellar projects for health care institutions, cultural & educational centers, and museums; in a way where they introduce bold architectural elements into the interiors. 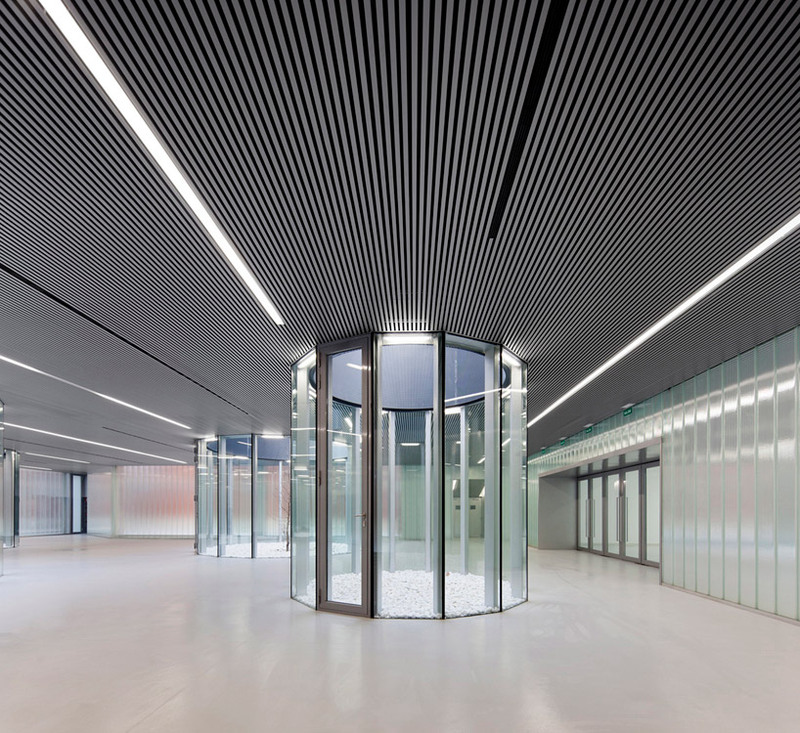 In the Civic Center for Palencia, The impressive architectural addition to the old masonry building consists of zinc metal panels and U-glass, which is just a peek as to what has evolved on the inside. The interiors, once dark, have been given light by the inclusion of several skylights which were added when parts of the old clay roof were removed. The octagon shaped great wall is the main public space, which has an inviting atrium with enclosed glass cylinders reaching from the floor to the ceiling, each are filled with rocks and a single tree. The bold architectural is complemented with a clever mixture of natural and artificial lighting. 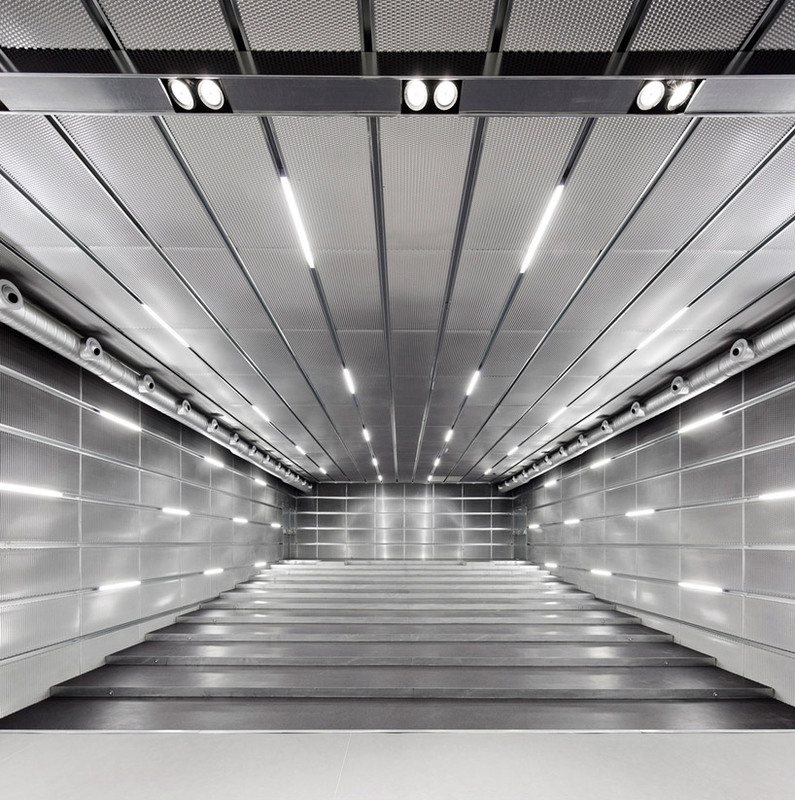 Fluorescent tube lighting is used to create dynamic streaks in the atrium ceiling, massive skylights, and lines of lights make the walls sparkle in the theater. It must be the true marriage of thought evoking architecture, design, lighting, and function, that make this project quite a success!